A delightfully warm and witty mystery from one of Singapore's best-known and most acclaimed writers, perfect for fans of Alexander McCall Smith’s NO. 1 LADIES’ DETECTIVE AGENCY. Aunty Lee is on the case! 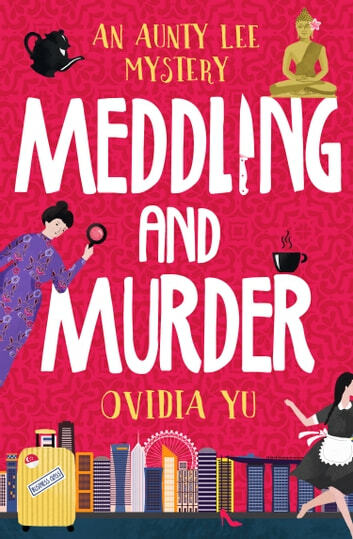 There is nothing Rosie ‘Aunty’ Lee, amateur sleuth and proprietor of Singapore’s best-loved restaurant, loves more than solving other people’s problems. So when Beth Kwuan, an ambitious businesswoman, tells Aunty Lee her maid has disappeared, Aunty Lee is happy to let her own maid, Nina, help. Only as the weeks go by, little clues make Aunty Lee worry. And as she digs into what is really going on behind the closed doors of Beth’s grand house, she starts to wonder—did Beth’s maid just run away, or did she meet a darker fate? Now the race is on for Aunty Lee to get to the bottom of the mystery…and save Nina before it’s too late!